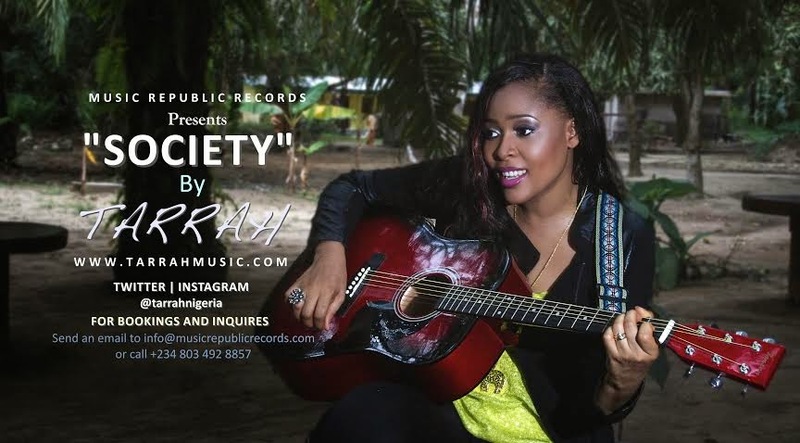 After releasing the hit single "I No Know" couple of years ago, Tarrah returns to the music scene with another Afrosoul smashing hit single "Society" produced by Clef Nite; A single from her forth coming EP debuting this summer. Listen up, enjoy and get downloading! Tarrah is one of Nigeria's fast rising AfroSoul sensations ready to hit the world with her unique style of soul. The Lagos raised artist has blossomed in the Afrosoul/soft rock genre as Tarrah deems pure soul as the heartbeat of her music. The immaculate singer began music professionally in 2005 and has recorded up to 18 songs till date and is always in the studio working. When she takes a break from fulfilling duties as a veterinary doctor, you can find her singing her soul out on various live stages across world. She is no newcomer to the spotlight and her limelight is about to get a whole lot brighter. Tarrah is also one of the official artistes for Music Republic Records. A one of a kind Afrocentric record label based in Boston, MA.. To read more about Tarrah visit her website at www.tarrahmusic.com.